Thanks to the recent addition of our new byline correspondents and an extraordinarily good week of extraordinarily good posts, I am experiencing (to tweak Alan Greenspan’s famous formulation) a surge of extra-rational exuberance. There’s no accounting for taste, of course, although there can at least be an accounting of it. All of the arts provide us an opportunity to feel — to know! — that the world can be changed for the better, and we find our private anthems where we can. Here’s one I’ve been hitting the replay button on all day; from the Cold War depths of the Reagan era and the Golden Age of Indie Rock, REM’s “Radio Free Europe” I can’t be the only person who hears Peter Buck’s joyfully pealing arpeggios and feels the involuntary pleasure of knowing that I am both free and have some very hard work to do. Calling all in transit / Calling all in transit . . . This entry was posted in Popular Culture, Video on January 17, 2010 by Michael Happy. These responses appear suddenly and unexpectedly, like fairy rings on the front lawn: you wake up in the morning, and there they are. Most gratifying, particularly when one’s respondents are as stimulating as Sára Tóth, Joe Adamson, and Bob Denham. I begin to see the uses of this blog thing: it has a rhythm of its own, quite different from academic criticism. Joe, I thank you for reminding us of that passage from Creation and Recreation, as it is probably Frye’s most extended treatment of the concept of spiritual otherness. Both Joe and Sára point to the dialectical nature of Frye’s later thought, and that puts its finger on something central. The Late Notebooks show that Words with Power was going to be organized according to a “dialectic of Word and Spirit.” I keep wondering why that dropped largely out of the final book—especially as it is still there implicitly. Is Sára right that there are signs of occasional vacillation on Frye’s part? She is definitely correct about Frye’s vacillation on the subject of kerygma. Another thing I like about the blog is that I feel free to introduce occasional anecdotes that are, I hope, instructive, yet which would be out of place in a more formal setting. In the later Eighties, some time after the appearance of The Great Code, I managed to work up my nerve to question Frye about what seemed an either-or distinction in that book between literature and kerygmatic rhetoric. I asked him whether literature couldn’t at times take on a kerygmatic quality. Frye was tactful, but wouldn’t back down. 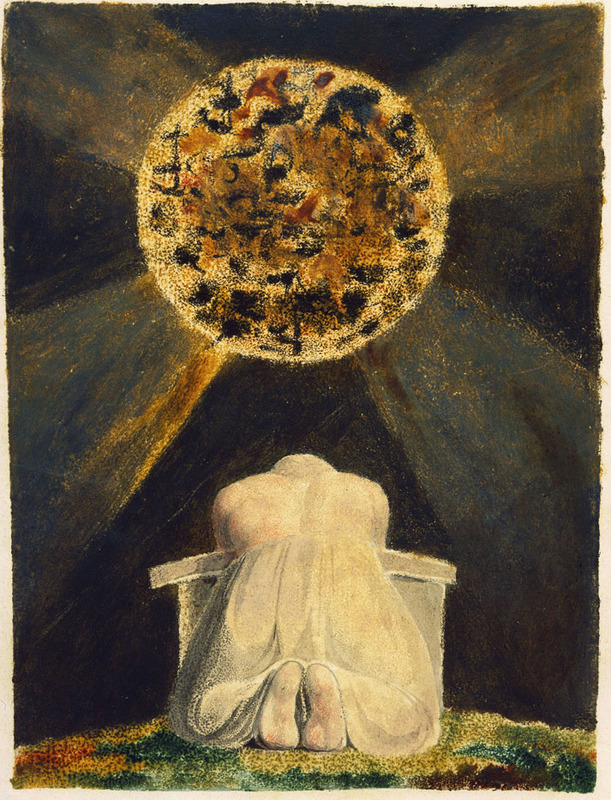 He used as example the refrain from the Bard’s Song in Blake’s Milton: “Mark my words! They are of your eternal salvation!” Notwithstanding, Frye told me, since that assertion appears in a work of literature, we take it hypothetically. This is why The Great Code insists that the Bible is not a work of art. I was somewhat troubled by this, for personal as well as intellectual reasons. Certain works of literature, even certain passages, have changed me, have changed my life. For that matter, certain passages of Frye have changed my life: I have had the “This is for me” response Frye speaks of as characteristic of kerygma; the passages have become “myths to live by.” So I read Chapter Four of Words with Power with delighted surprise. Frye just about never admitted that he changed his mind—but he did. I am much more satisfied with the treatment in the later book, in which literature can sometimes take on kerygmatic qualities and, presumably, kerygmatic works such as the Bible can exhibit literary qualities. The latter would take Frye full circle to Fearful Symmetry, which says in no uncertain terms that the Bible is a work of art, not just a code of art. To be sure, Frye is speaking there from Blake’s perspective, but there is no indication that he does not share it. As for the question of criticism as science, I am betting that that is fuel for at least three dozen blog entries–starting with this one. I concede that Frye did talk sometimes as if he felt that criticism could be organized on an empirical basis, like science. He was clearly irritated when he said in “Expanding Eyes” that “The order of words is there, all right, and there is no use writing it off as a private hallucination of my own.” Harold Bloom had just got done comparing him to Proclus and Iamblichus—private hallucinators, in Frye’s book. But he did seem to retain as late as 1975 a faith that we could achieve some consensus by showing repeated patterns “in the text.” However, criticism for at least a decade before that had been insisting on exactly the opposite: what seems to be “in the text” is a product of ideology or interpretive communities operating upon authors, readers, and critics alike. This is why talk of a “scientific” criticism seems so dated now. This entry was posted in Kerygma, Kook Books, Literary Criticism, Science, Spirtual Vision on January 17, 2010 by Michael Dolzani.